Hard working. Determined. Persistent. Resilient. Add all these together and you’ll come up with the theme of this episode! First up is an exclusive interview with one of the most decorated, not to mention toughest footballers in the game – Heather O’Reilly. Much to the dismay of everyone, HAO recently announced her retirement from international play, ending a celebrated career of 231 appearances for the U.S. Women’s National Team. After a memorable farewell match against Thailand (where she scored and assisted with a goal), HAO shares with us that emotional match and some of her thoughts throughout the game. HAO was a high school teenager when she was called up to the USWNT, spending her growing-up years as an integral member of the team. So, how do you leave something that’s been so much a part of your past and shaped you into the person you are today? 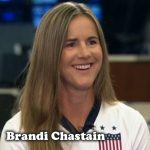 The 3-time Olympic gold medal winner gives us a glimpse into her decision, what prompted it, and why she knows it’s the right time. 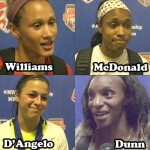 Plus, what does the future hold for HAO and what does she want her legacy to be when we look back on her career?! 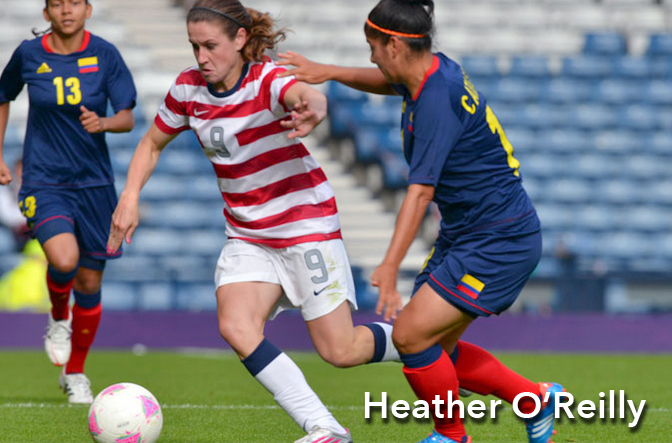 There’s nothing quite like the HAO story and she’s here to share it with us! Get out your tissues, and be prepared to fall in love with HAO all over again! Check out HAO’s website where you can learn about the many causes she supports at OReillySoccer.com. 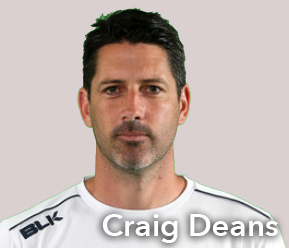 The Westfield W-League is kicking off and our first guest of the season is Newcastle Jets head coach Craig Deans. The coach talks about his biggest challenges this season, some of the players he’s bringing back and a few he lost. Plus, what are his thoughts on how Melbourne City has transformed the league, the growth to the women’s’ game down under and lots more! If you’re as excited about the 2016-17 W-League season as we are, then this interview will give you a kick in the pants! 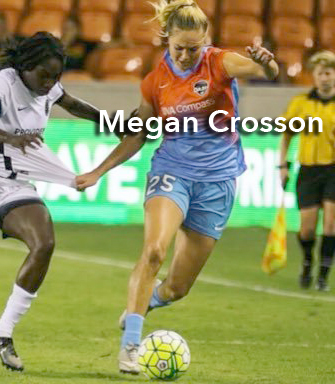 Our theme of hard-working footballers continues with Houston Dash midfielder Megan Crosson. After surviving two ACL tears at a very young age and being passed over in the 2016 NWSL college draft, the Santa Clara University midfielder could have given up a long time ago. 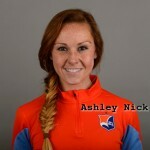 But her passion and drive for the game she loved led her all the way to the NWSL. Still looking for more playing time, she recently went to Japan to play for Konomiya Speranza Osaka-Takatsuki of the Nadeshiko League. Meg shows that it’s not how many times you get knocked down, it’s how many times you Fight! (you have to listen to understand). If you’re going through a set back of any kind, you’ll want to catch this interview with Meg Crosson and be prepared to get inspired! Our trusty co-host Adam Barlow suffered through the recent England vs. France friendly in Doncaster on October 21, 2016. The defensive play of both teams resulted in a 0-0 draw, and while the match wasn’t the most exciting of the year, we learned a few things from both teams. Listen to England manager Mark Sampson discuss the confidence of his players and how important it is to continue to play top-tier teams. Plus England striker Rachel Daly discusses her form, her thoughts on playing in Houston and more! 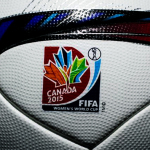 A look at the upcoming USWNT friendlies vs. Romania; Euro friendlies, FAWSL updates and more!